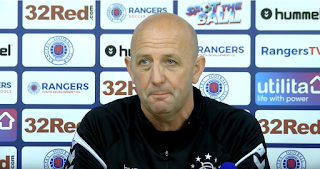 Gary McAllister has today risen above the usual hatred in Scottish football of Rangers and provided magnanimous words of praise for Aberdeen and their players, following Rangers’ epic win at Pittodrie. Following yet more bitter Rangers-hating fall out after the match (Derek McInnes, Steve Clarke) McAllister rose above all of the nonsense to provide the kind of positive words about Aberdeen, their players and the Scottish game in general that the sport north of the border really should pay attention to. And he’s bang on the money. We’ve always felt McAllister, while a gentleman, was a bit out of touch with regards Scottish football and in particular Rangers and what we truly mean to our supporters, but this kind of gracious comment suggests a lesson in maturity his peers in the game should take note of. Every other day someone is complaining about something to do with Rangers, and yet our club can rise above that and say something decent about others. And yes, it really was a cracking game, one of the best of the season, and Clarke and McInnes in particular of late should take notice of how to show some grace to Rangers. i think some time very soon we should take a step back! !